Pakistani Drama Serials are one of the finest set of miniseries one could ever watch. Comprising of various genres based on real-life stories or books, these drama serials are somewhat different from the western television series or soaps. Recognized for being short and ending with a certain moral, most Pakistani Dramas are watched and admired all over Asia and in the Middle East as well! We have compiled some of the top Pakistani Dramas of 2017 which you should at least watch once. 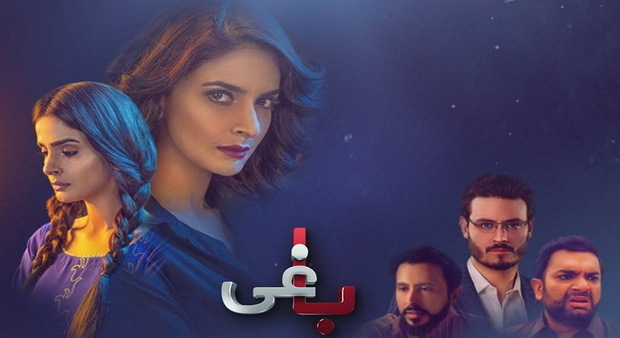 “Gumrah” is among one of the most viewed Pakistani drama serials of 2017.It is famous for its tragic yet sentimental story that has left its viewers deeply thrilled. 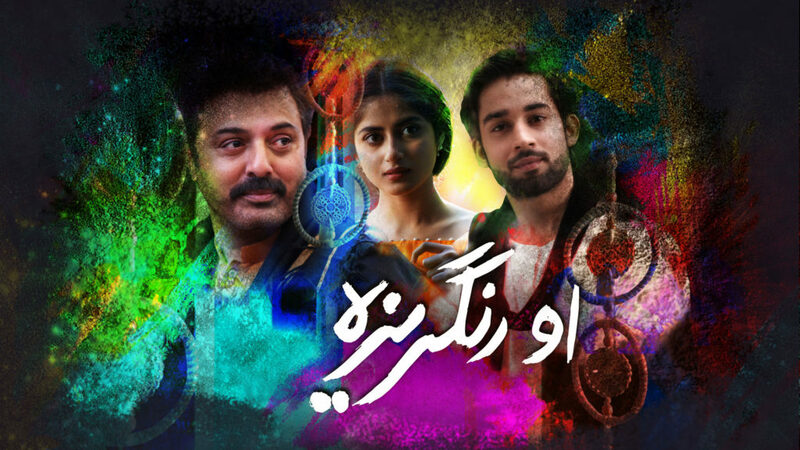 One of the main reasons why we have listed it as a must watch Pakistani drama serial is because of its different story that has given a thoughtful moral in the end.This drama is based on the value of relationships, friendship and family. Don’t forget to watch “Gumrah” if you’re in for an amazing story. “O Rangrezaa” is a story of colours, beauty and of a girl that dreams to achieve bigger things in life, who yearns to escape the ordinary and free herself from the shackles of the society. However, as the story goes on she discovers that the true meaning of life lies in people and relationships that she had not valued. On this journey of achieving her dreams Sassi the bold spirited girl gets to see another side of life, she realises that her dreams were mere fantasies and reality was the definition of unexpected happenings. O Rungrezaa is a must watch Pakistani drama serial if you wish to see a story filled with love, life and the cost of getting your dreams. “Yaqeen ka Safar” featuring the gorgeous Sajal Ali is a drama filled with deep sentiments and bottled up emotions, the ones that are least expressed and pains suffered alone. This story is about a young girl that at the hands of fate becomes a victim of mistrust and misunderstandings. Watch this Pakistani drama as she finally speaks up about how she truly feels. This drama is about love, regrets and misunderstandings, a story you cannot miss. 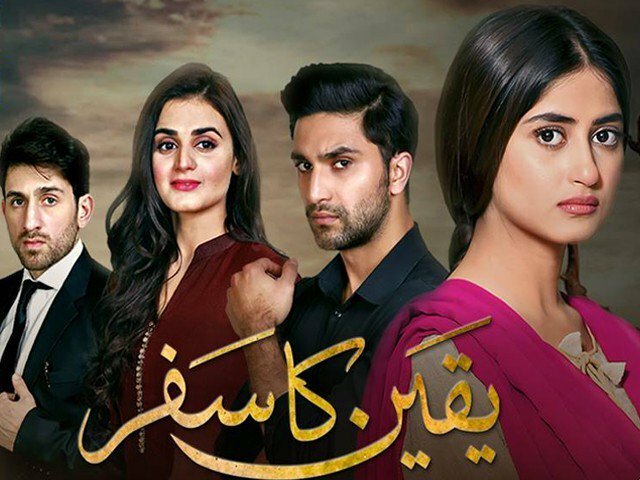 Pakistani drama serial “Khamoshi” is about words that go unsaid, and feelings that are not expressed, which leads the characters into a totally different life, the one they did not want. “Baaghi” our personal favourite, is based on the life story of late famous Pakistani star, Qandeel Baloch who was murdered by her brother, in the name of honour. A lot of controversy and hate sprung after the stars death, this drama featuring Saba Qamar as Qandeel Baloch presents the untold truths and life story of Qandeel Baloch.It is a beautiful production and a must watch drama from 2017.